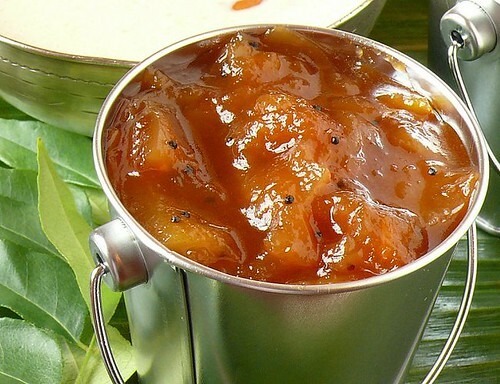 The highlight of Puthandu/Tamil New Year is the 'Mangai Pachadi' ~ a Pachadi/chutney made out of raw mangoes, jaggery, chilli powder and neem flowers, with Arusuvai or six tastes. This signifies all the different aspects of our life. 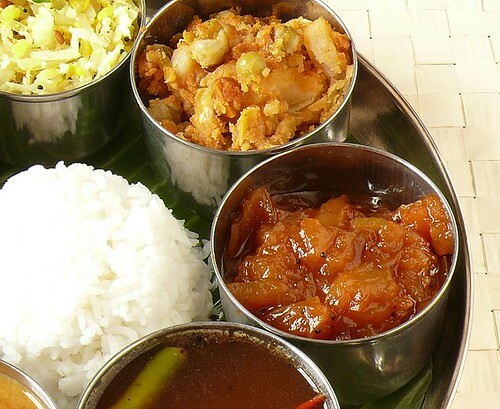 Apart from the special Pachadi, Vadai and Payasam are served with Rice, Sambhar and Rasam. A delicacy for the New Year’s day in different regions of Tamilnadu and elsewhere in India, this pachadi is made for its significance of Arusuvai. Different recipes are followed and I am blogging the recipe from Athai (mother-in-law) which is a little different from Amma`s procedure with the ingredients being the same. Peel or scrape the skin of the mangoes and make thin slices ( approximately 4 cups). Pressure cook with chilli powder and salt. 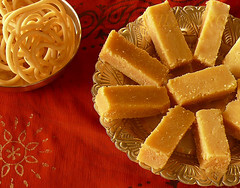 In a heavy bottomed vessel, melt the jaggery to a thick syrup.Mix the cooked mangoes. Season with mustard and finally add neem flowers. i love the tangy, sweet n sour taste of the pachadi! I was hoping you will post the pachadi recipe. I don' have the neem flowers but the green is ready to go. Its a Drool-Worthy Pachadi!! 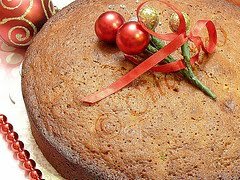 Very simple Recipe..kandippa try pannanum..
That really looks great, awesome color! Wow mango pachadi my fav! looks spicy! Happy tamil new year. the manga pachadi looks tempting and delicious.